Merve Tula has been beaten up by her husband since the first day of their marriage. She was repeatedly raped by him. Anyone else would have been arrested by now, she says. But why is he still free despite having sexually abused her several times, she asks amid her legal fight. Merve Tula is a 32-year-old teacher. She got married for the second time in 2017, and has a seven-year-old daughter from her first marriage. Her second husband, Ercüment Tula, physically and sexually abused her on the first day of their marriage, she told daily Hürriyet. But when his violence continued for the next sixth months, Tula ran away to a women’s shelter, where she found out she was pregnant. Under extreme stress, she lost her baby and moved in with her parents to be protected from her violent husband. She filed 20 criminal complaints against him, but so far the man received only a six-month jail sentence in a case last month. “Like me, he also has a seven-year-old daughter from a previous marriage. It was a marriage of convenience, not of love, at least for me. I got punched and raped on our first day as a married couple,” Merve Tula said, adding that she once had forgiven him after an apology. But he assaulted her again later and broke her nose. 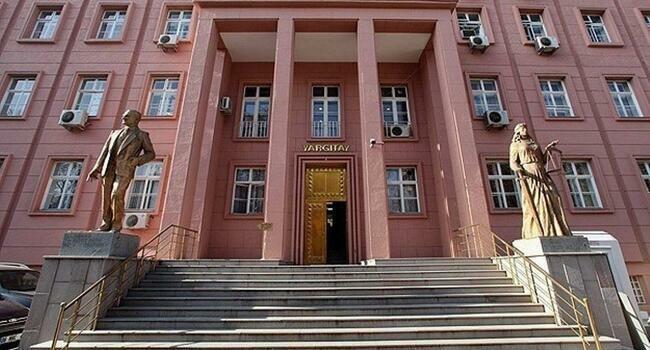 A separate case against Ercüment Tula on charges of assault will start on Jan. 31 in Istanbul’s Bakırköy 16th Heavy Penal Court.